Key Holding provides you with a rapid response and deployment of a security officer whenever and wherever an alarm activation is indicated day or night whether false or not – your first line of defense against any potential threat to your premises, property and staff. We provide ‘local’ secure access to premises & storage facilities. Our fully licensed Security Industry Authority (SIA) security officers will attend providing Alarm Response in one of our patrol vehicles, our officers will re-set your alarm and handle any threats or situations that occur. All events and outcomes are logged by our Control Room and reported to you. 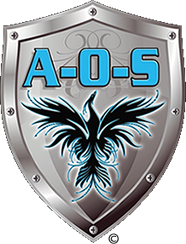 Alpha-One Anglia Security. Dispatch fully uniformed and trained patrol supervisors to investigate and respond to any alarm activations at your premises. Alpha-One Anglia’s Security supervisors check the building in full, reset alarms and secure the premises. If necessary Alpha-One Security Anglia liaise with the Police, repair contractors and emergency services in the event of something more serious.